If there is one thing that has provided me with mental clarity and improved mental health, besides counseling, it's journalling. This is a discipline that I practice off and on. But I know that when I'm in the daily journalling habit my mental clarity is so much better. Journaling helps me process. It helps me pray. I often find that as I journal a problem or a prayer, by the end of my journaling I have come up with or been provided with an answer. I have also found that that the process of putting pen to paper rather than digital journaling (which I tried for a short time) is much more effective. There's something about what happens between the mind and the hand that is very powerful in the processing. I handmade this little journal for you. (There are more detail images in the shop listing). 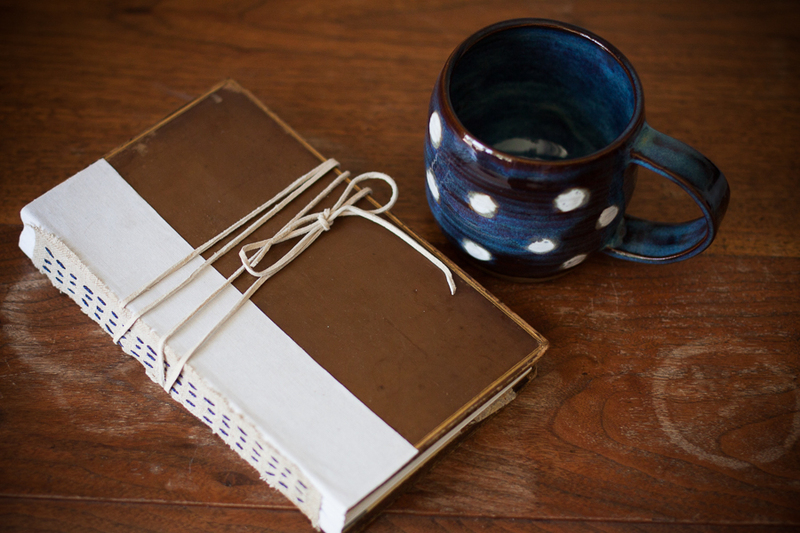 It's a mix of journaling paper, natural papers, and creative papers in between to create the most artsy little journal - paired with your morning cup of coffee you too could start a rewarding morning rhythm of journaling and waking slowly with your coffee and a special one-of-a-kind journal for your innermost thoughts and prayers. Handmade (by me) journal with combination of journaling pages and a variety of messy and natural pages. More pics in the shop listing.